Conservatives spent years predicting Obamacare would collapse in all manner of gloomy scenarios. But those predictions all occurred in the run-up to the project going online, on the basis of sketchy, preliminary data or pure conjecture. In the months since the law has come into effect, a steady stream of far more solid data has come in, and the doomsaying predictions are being hunted to extinction. The right’s ideological objections to Obamacare remain, but I can’t think of a single practical analytic claim they made that still looks correct. 1. Obamacare is mostly just signing up customers who already had insurance. The basis for this claim was a preliminary survey conducted by McKinsey last year, well before the first enrollment period for Obamacare was complete. It generated massive coverage in the right-wing media. Since then, newer data has shown much higher figures. A Kaiser Family Foundation survey finds that 57 percent of enrollees lacked insurance previously. 2. 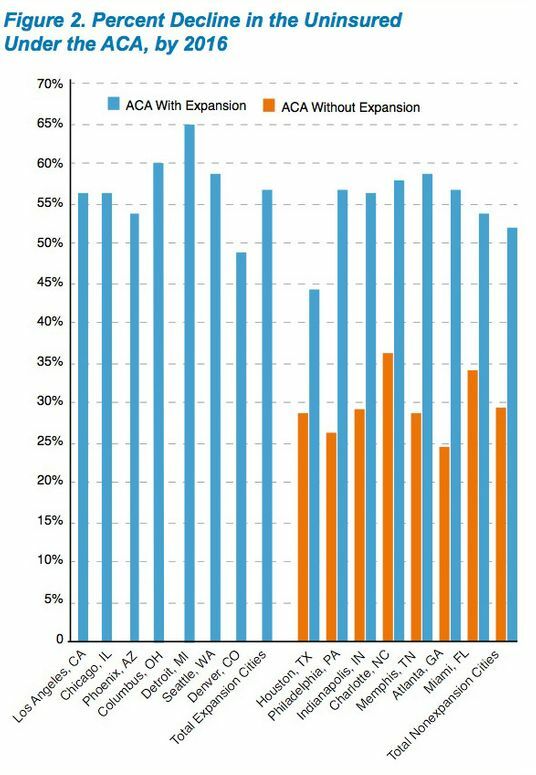 Obamacare isn’t even significantly reducing the ranks of the uninsured. This claim built on the previous one — it combined the prediction that few people would sign up for new coverage with the prediction that those who did were mostly insured. “CBO has projected that 14 million previously uninsured Americans would gain coverage under the law. 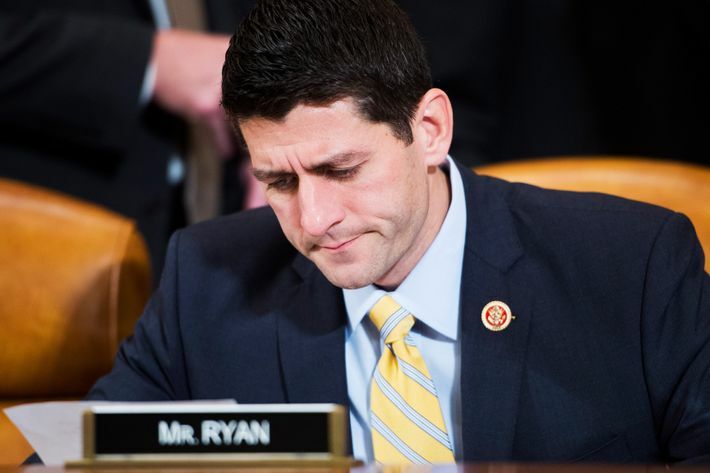 With about ten weeks left in this year’s enrollment period, we’re looking at a coverage expansion of less than a million,” suggested Republican health-care adviser Avik Roy. Measuring the population lacking insurance is historically complex and imprecise, but we now have a bevy of measures showing that Obamacare has already made a huge dent in the uninsured population. Gallup has showed the uninsured rate dropping by about a quarter. A report finds that the uninsured rate in Minnesota has fallen by 40 percent. A study of numerous cities by the Robert Woods Johnson Foundation projects declines of about 60 percent by 2016 in municipalities whose states expanded Medicaid, and half of that in states where Republicans have maintained the party’s boycott of Obamacare. 3. Insurance will be so expensive that few people will want to buy it. We spent weeks and weeks debating “rate shock.” Also, nope. The average plan purchased on exchanges costs customers only $82 a month. A Kaiser Family Foundation survey of people who used to have individual insurance and now have the regulated insurance on the exchanges — finds that the number of customers reporting lower premiums exceeds the number paying higher premiums. 4. 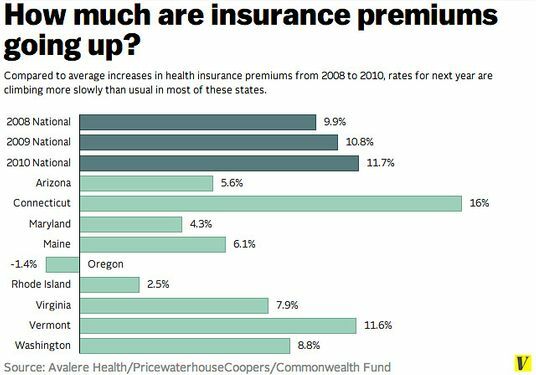 But premiums will shoot up next year! As premiums have turned out to be cheap — indeed, cheaper than initially projected — Obamacare skeptics slowly retreated to a new prediction: Rates would rise next year. Will all this data produce a grand bipartisan consensus on Obamacare? Of course not. Nor should it. 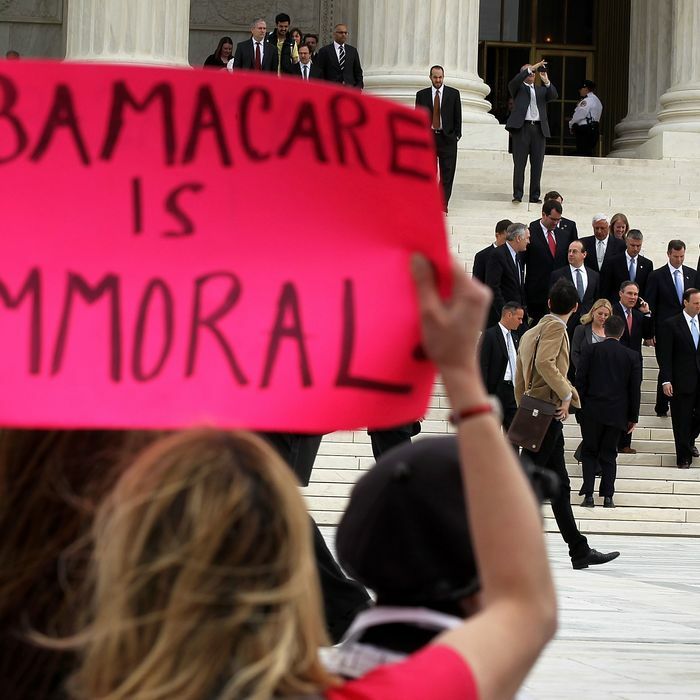 The practical objections to Obamacare are collapsing, but the philosophical ones remain in place. Suppose you strongly objected to the idea that your city should own a bunch of buildings where people can go borrow books for free. (Some people do!) If you couldn’t persuade a majority of fellow citizens of your conceptual objections to libraries, you might try arguing that the library scheme was doomed to collapse in cost overruns, or that nobody would ever use them, or that shelves of heavy books would be routinely toppling over and killing small children. But the fact is that running buildings where people can check out books, and running exchanges where people can purchase basic health insurance packages, are both things that governments can do. The predicted spike in rapeclown attacks has also yet to materialize. It is true that Obamacare is far more helpful to people lower down the income scale. The poorest people get Medicaid, which is free. Those higher up the income ladder get tax credits, which phase out at $45,000 a year for an individual, and $94,000 a year for a family of four. (I wouldn’t call people earning under those levels “poor.”) Of course, people who get employer-sponsored insurance also get their coverage paid for with “other peoples’ money.” The difference is that employer-sponsored insurance uses a tax deduction, which gives the largest benefits to those who earn the most money, as opposed to Obamacare’s sliding-scale tax credit, which gives the most to those who earn the least. But at least conservatives are now representing their true bedrock position on Obamacare. It is largely a transfer program benefiting people who either don’t have enough money, or pose too high a health risk, to bear the cost of their own medical care. Conservatives don’t like transfer programs because they require helping the less fortunate with other peoples’ money.